Your pet, your photo, your painting. 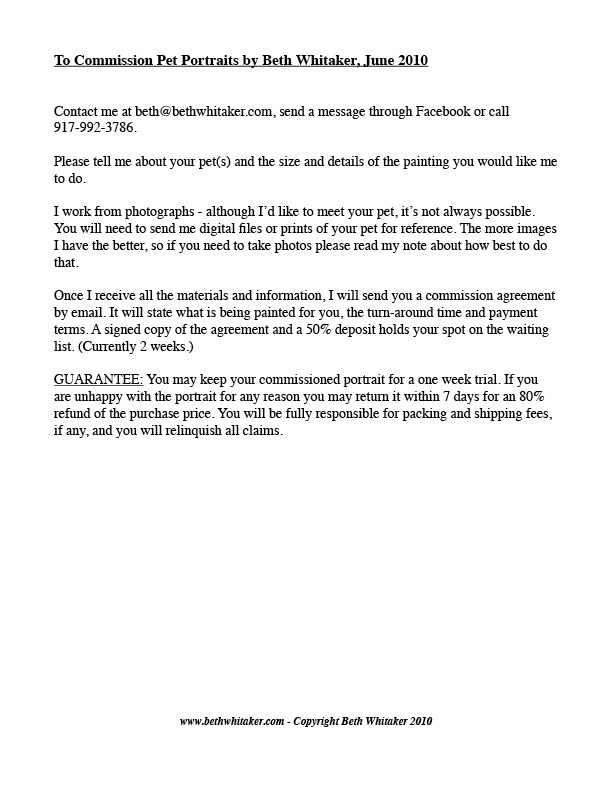 ... A photo of your beloved pet can become a favorite painting through the talents of the highly-respected fine artist Beth Whitaker. By careful craft and studied reference to your photos, Beth is able to capture on canvas the spirit and essence that makes your dog or cat unique and special. Please take a look at her portfolios of dogs and cats by clicking on the paintings below, then be sure to contact Beth for more information and to schedule your pet's portrait. 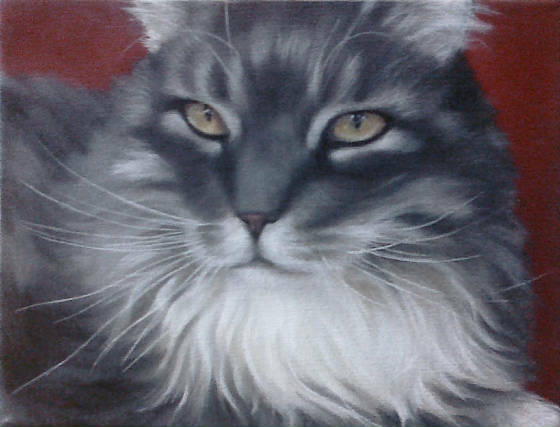 Click on the above painting to access a portfolio of cat portraits. 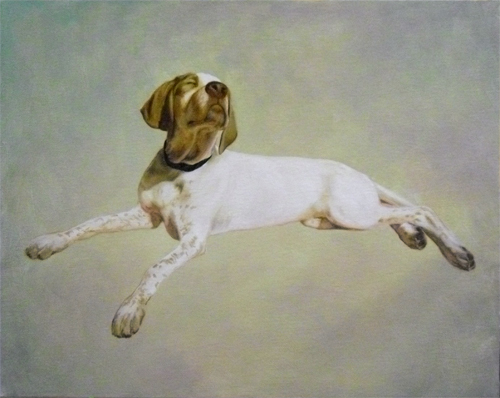 Click on the above painting to access a portfolio of dog portraits. Beth Whitaker is an honors graduate of Pratt Institute, New York, with a BFA in Illustration and Graphic Design. 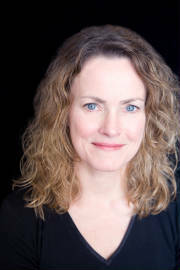 Over the years, her work in graphics and publications design elevated her to the position of Art Director for American Heritage Magazine. Always an artist, the love for animals and artistic training has lead Beth to become one of the most proficient pet portraitists in New York. "I was raised on a farm, and my family had a series of rescue dogs and a steady stream of cats and other animals to enjoy the country," Beth recalls. "The dogs are what I remember most fondly. I spent hours with every one of them, looking and learning about their physicality and essence, and feeling a bond of love from each like no other. Perhaps this is why I love to paint animals and why I'm sucessful at it; I love, understand and respect all of them." 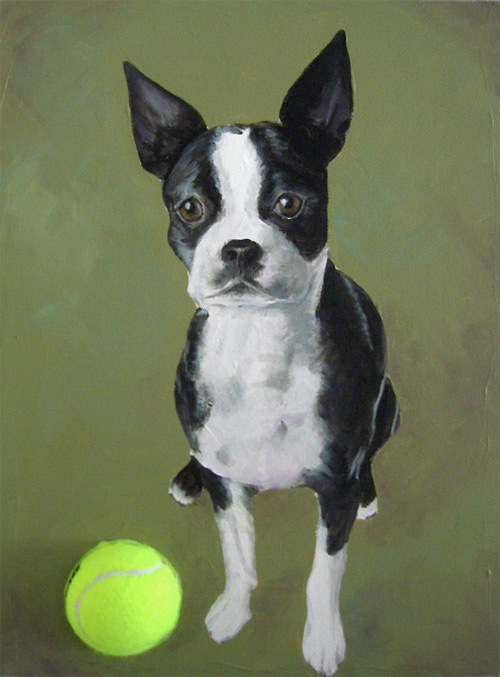 Please visit Beth on Facebook at "Pet Portraits by Beth Whitaker" for recent work and updated news bulletins. 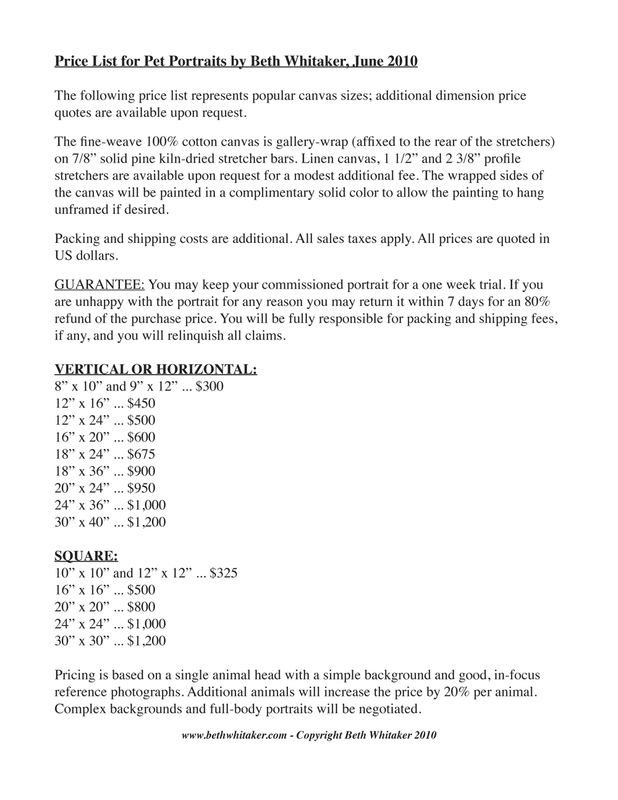 One of Bob's collars appears in my painting "Ella on the Trail"
Commission Terms and Price List: Select a page below to view a larger image.